GTA V PC Specs, Can Your Rig Run It? Have you guys seen the GTA V PC specs yet? We won’t know for sure how the game will run until it is actually released but Rockstar has indeed released some info about what it will most likely take in order to run the game. This is my Dragon Age Inquisition review for PC and I must say that it is the ultimate RPG game especially for PC players. The story and character development is great, the gameplay is great and the overall experience is unique. There are plenty of lands to be explored and many enemies to be slain and the lands and enemies along with everything else in this game look astounding, graphically speaking. This game is one of the best looking games I’ve played to date and it’ll forever be one of my favorite games. The Forest is an in-development horror game for PC. It’s vast game world is fully ready to be explored and it’s up to you to survive. This game is a sand box game with a bunch of crafting elements, a variety of weapons and a custom building feature that allows you to build a fort however you see fit. Is PC Really Better Than Consoles? Here Is The Truth. So you may be asking yourself, is PC really better than consoles? I’d like to share my opinion on this matter and shed some light on the truth about this exact question. 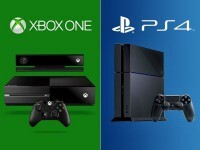 Ever since the release date of consoles there has been the debate of PC vs Consoles. For my view on this I don’t wish to include Nintendo’s Wii simply because I don’t think it’s comparable to the current gen Xbox One, PS4 and PC hardware capabilities. Let’s start by listing the pros and cons of today’s consoles and modern day gaming PCs. There are many unique features included inside of Dying Light. Hello everyone, so you might be wondering… what are some good PC games to buy? I have played plenty and I would like to share which ones gave me the best PC gaming experience! I have been a PC gamer since 2011 and to me a great PC game should be a well optimized game with a unique twist to game play. By being well optimized, I mean that the developers took their time to make sure their game was a good game to run on a PC. So let’s get started with the list of AWESOME PC games! Assassin’s Creed Unity System Requirements. . . Can Your PC Run ACU? So as with the previous generations, we are starting to see an increase in minimum PC spec requirements for certain games. ACU (Assassin’s Creed: Unity) has some INSANE min. spec requirements and with this we can see how much power our PCs are going to have to deliver in the next gen games to come.